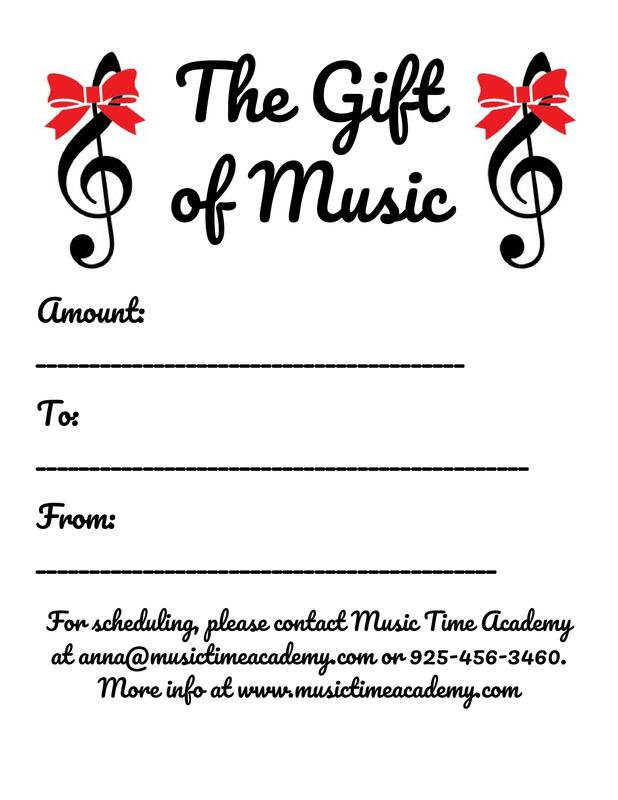 Would you like to give the gift of music? Finding the right gift can be challenging, mostly because we all know that products are not really what make us happy in the end. Rather than buy some hot item of the season, why not invest into improving the quality of life for a loved-one through encouraging music-making? Many of our students are first time beginners (of any age), or adults returning to music on either a new instrument or a familiar one, after an extended absence. No matter what your age or background, we have kind, patient, enthusiastic & professional musicians here 7 days a week to help make lives more musical. You are making a good choice. What kind of gift certificate would you like? Please note that the recipient will need to arrange lesson days/times. Most lessons occur between 2-9pm on weekdays or 10-4pm on weekends. You’ll fill in the $ amount that you’d like to spend, so please see the above choices for popular/useful options! Would you like something nice to print?